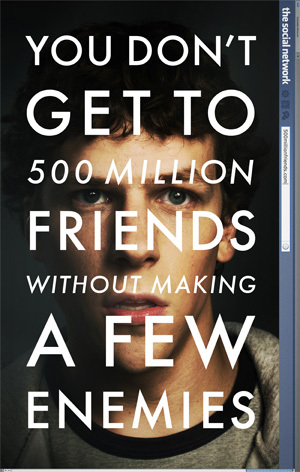 Thoughts bred by The Social Network....but a little icier. The Social Network got me thinking. I'm sure that it got most people who watched it thinking - possibly far beyond the fact it is a well-made and well-acted film. This concept of being creative in terms of your life direction is undeniably inspiring but I was not sure exactly what message the actor was trying to convey. It was either an observation that the top US university created leaders and innovators - something admirable. Or on the other hand a criticism that the same group of talented individuals never wanted to fit into an existing framework which the rest of society complies with and fits into. It must be true that the privilege of being able to do what Zuckerberg did with Facebook requires one or more of the following: wealth (as was required for Facebook to exist), intellect, creativity, boredom, ambition and the confidence that accompanies it. I am extremely fortunate to have the freedom to pursue a career that similarly does not fit into a standard career framework. I wake up each (almost each!) day looking forward to what I'm going to be doing. Many people do not have the opportunities or the self-belief to do this. I suppose this fact is what sparked my uncertainty about the double-edge of the Harvard president's comments in the film. How do you approach work and careers? Do you think that the approach of 'create a job, don't find one' is what drives our society forward or a selfish privilege afforded by the few? There might be the feeling that anyone can go from humble beginnings to greatness or prominence, but in truth this is helped enormously by education and opportunity. End of the master and era of the jack?